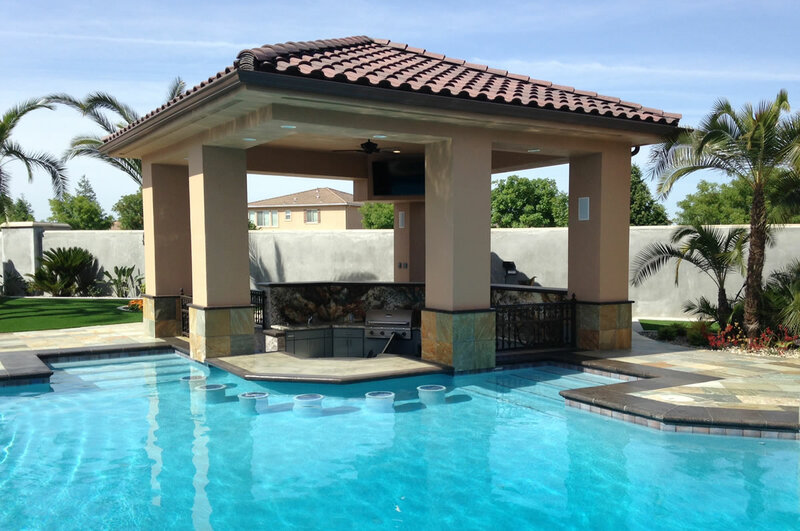 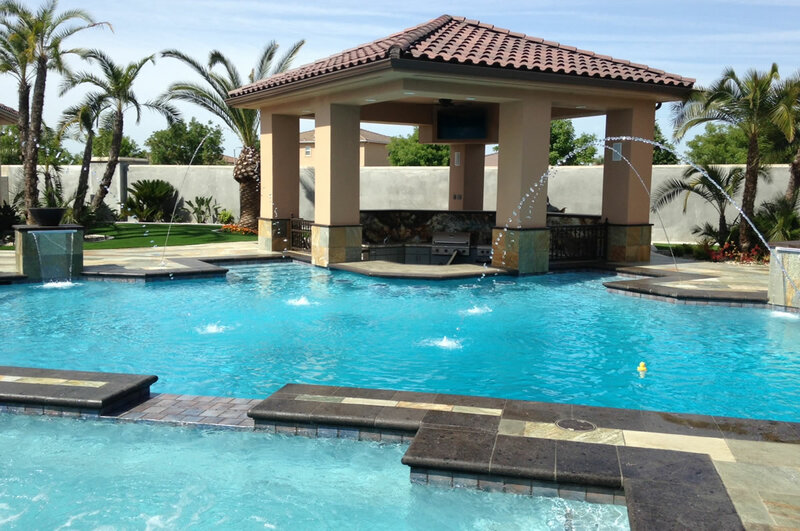 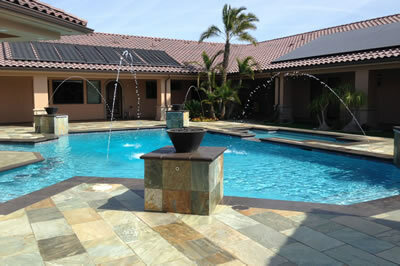 Visalia Laminar Pool Builder - Paradise Pools™ - California Pool Designer, Visalia Pool Builders, serving the Central San Joaquin Valley. 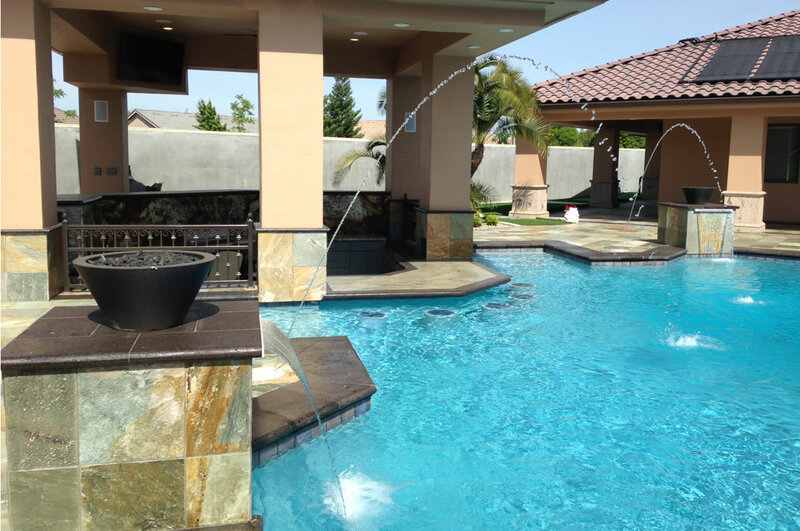 Laminars create totally clear, uniform arcs of moving water that originate from either your pool deck or surrounding landscape. 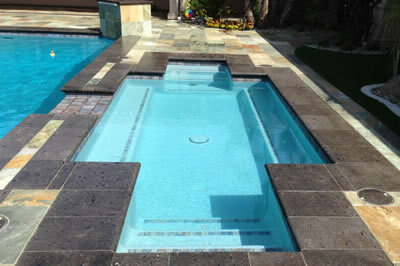 At night, available translucent streams are brilliantly colored with an LED light source. The result is a water effect that adds an elegant bit of entertainment to your poolscape.